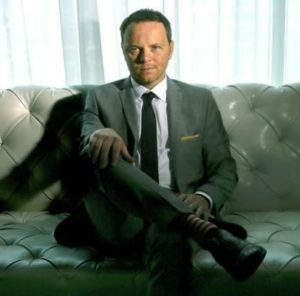 Noah Hawley is this week’s guest. The award-winning author, screenwriter, producer & director will be talking with us about his new novel, Before the Fall (Grand Central Publishing, 2016). Writing on the Air is broadcast Wednesdays from 6-7 pm Central from the KOOP radio studios in Austin, Texas. To listen online, just click here, or head over to TuneIn. In Austin, we’re also on the radio at 91.7FM KOOP. We invite you to scroll through our previous episodes below; you’ll find the audios on each page. If you’d prefer listening on iTunes, you can do that, too. We’re also on Facebook and Twitter. Thank you for listening to our show. Noah Hawley is an Emmy, Golden Globe, PEN, Critics’ Choice and Peabody Award-winning author, screenwriter, producer and director. He wrote the script for the feature film Lies and Alibis. He created, executive produced, and served as showrunner for ABC’s My Generation and The Unusuals, and was a writer and producer on the hit TV series Bones. 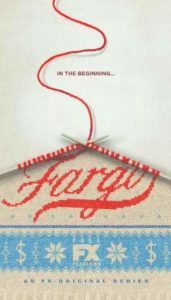 Noah is currently executive producer, writer, and showrunner on the FX series, Fargo. The series has been nominated for 113 awards, winning 32 of them. Fargo Season 3 will arrive next year. Also for FX, Noah wrote the pilot and is serving as executive producer for Legion, a TV series based on the Marvel comic book character. He’ll also write and executive produce a limited series adaptation of Kurt Vonnegut’s Cat’s Cradle for FX, and will executive produce the adaptations for Hellhound On His Trail about the MLK assassination, and the robbery caper drama, The Hot Rock. Noah is also set to make his feature film directorial debut with Man Alive for 20th Century Fox, from a sci-fi script by screenwriter Joe Greenberg. He’s also authored five novels including A Conspiracy of Tall Men, Other People’s Weddings, The Punch and The Good Father. His most recent, Before The Fall (Grand Central Publishing, 2016) debuted at #2 on the New York Times Best Sellers List. 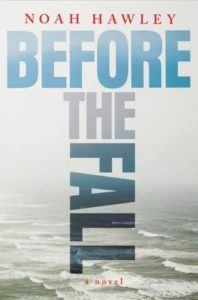 Sony Pictures acquired the rights to Before the Fall before Noah had even finished writing the book. He will also be writing the screenplay. Noah was born and raised in New York City, and received a political science degree from Sarah Lawrence College. He donates his time to the non-profit organization 826 Valencia, a program dedicated to supporting students ages 6 to 18 with their writing skills. 826 Valencia also conducts special seminars for adults and has chapters in Los Angeles, New York, Michigan, Seattle, and Chicago. On a foggy summer night, eleven people–ten privileged, and one down-on-his-luck painter–depart Martha’s Vineyard on a private jet headed for New York. Sixteen minutes later, the unthinkable happens: the plane plunges into the ocean. The only survivors are Scott Burroughs–the painter–and a four-year-old boy, who is now the last remaining member of an immensely wealthy and powerful media mogul’s family. 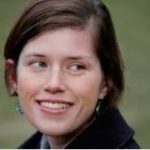 With chapters weaving between the aftermath of the crash and the backstories of the passengers and crew members–including a Wall Street titan and his wife, a Texan-born party boy just in from London, a young woman questioning her path in life, and a career pilot–the mystery surrounding the tragedy heightens. As the passengers’ intrigues unravel, odd coincidences point to a conspiracy. Was it merely by dumb chance that so many influential people perished? Or was something far more sinister at work? Events soon threaten to spiral out of control in an escalating storm of media outrage and accusations. And while Scott struggles to cope with fame that borders on notoriety, the authorities scramble to salvage the truth from the wreckage. Amid pulse-quickening suspense, the fragile relationship between Scott and the young boy glows at the heart of this stunning novel, raising questions of fate, human nature, and the inextricable ties that bind us together.